From a perfect night on the Washington Coast. 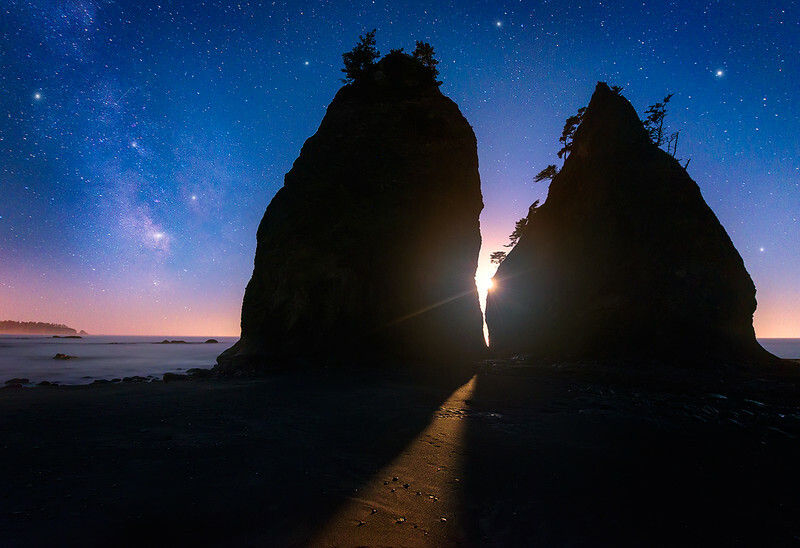 The 25% moon lit the landscape well enough to provide ambient light on the sea stacks & beach. The amount of color & light that was coming out of the shots this particular night was pretty intense. More than you usually see at least... With the crescent moon low in the sky the Milky Way was still fairly visible and easy to capture in a single RAW file. This image was taken at ISO1200, f/4 & 30 seconds.